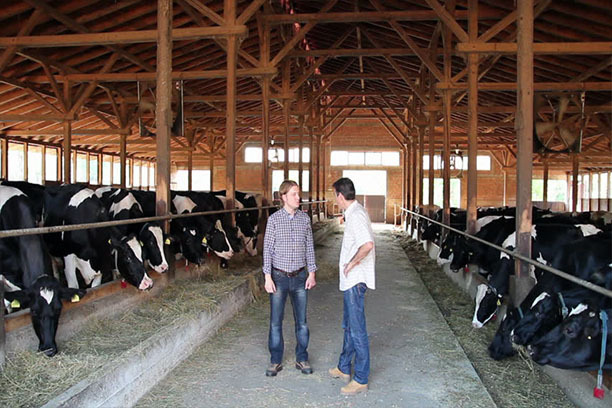 Assist partners with dairy producers to create a complete animal health program. Our solutions focus on correcting issues in the water dairy herds drink that directly impact animal health. Assist’s technology targets the removal of sulfates as well as various heavy metals such as iron and manganese in both well and municipal water sources. Assist also understands the critical need to adjust and monitor pH of the drinking water in order to provide optimal conditions in the gut. In addition to its focus on drinking water, Assist provides sound probiotic solutions which promote healthy microbial populations in the rumen. This step is critical in “rebalancing” the gut resulting in more efficient fiber digestion, improved milk output and healthier animals. For more information about dairy success stories, click here. Furst Force Calf is a unique oral drench for newborn calves utilizes a complex blend of nutritional technologies to support the animal. IMC for Cattle is a unique blend of amino acids, trace minerals and direct-fed microbials.